have made projects that are WAY TOO CUTE TO SPOOK!!! Check them out then leave the girls some love! Also.... make sure to read the entire post for a fun giveaway today! Debbie made these fun Lollies for each of her grankids! to Scrapbook Etc. they reached 50,000 fans on facebook. follower of our blog & leave us a comment! enters our giveaway and HAPPY HALLOWEEN to all! Already a faithful follower!!! Love you guys!!! Already a follower! You guys are awesome-great projects today!!! Already a follower. Today's projects are great. I especially love the paper lollipops. Super cute projects!! Love Bo Bunny!! I am already a follower too...these projects are all so gorgeous, talk about inspiration :) wow! Everything is so great! Thanks for all the great posts! Great projects!!! I love them all!! Great projects- LOVE that wreath! YAY! A giveaway! I'm already a loyal follower of your blog! Congrats to Scrapbook Etc!!! And kudos to all the fabulous DT members who did those gorgeous Halloween projects!!! I'm already a follower. Love the Halloween projects today! Already a follower! Bo Bunny is my guilty pleasure!!! Love the projects today! So festive and a great way to use up left overs! Became a follower today....thanks for the chance to win! I'm a follower. 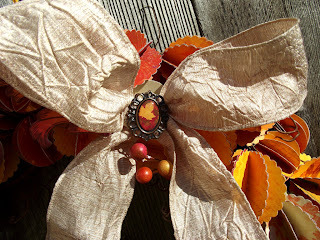 I LOVE the wreath on today's post. Love all of these wonderful projects!! 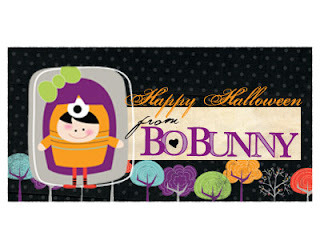 I'm Bo Bunny blog follower! I'm a follower!! I love the wreaths and your BB Collections! Awesome projects and already a follower! I'm a followers...love your stuff!!! Love these project! Love Bo Bunny any way it comes! love the halloween projects and wish you all a happy halloween. Love this wreath! Am now a follower! Happy Halloween! Just now became a follower thru Scrapbooks, etc. fb post, and I clicked to become a follower before I realized it was requred to enter the giveaway! Great projects! I have a sister-in-law named Tara Orr--so I'm tickled to see a project by someone with the same name. But a pumpkin wreath by any other name would look just as sweet! 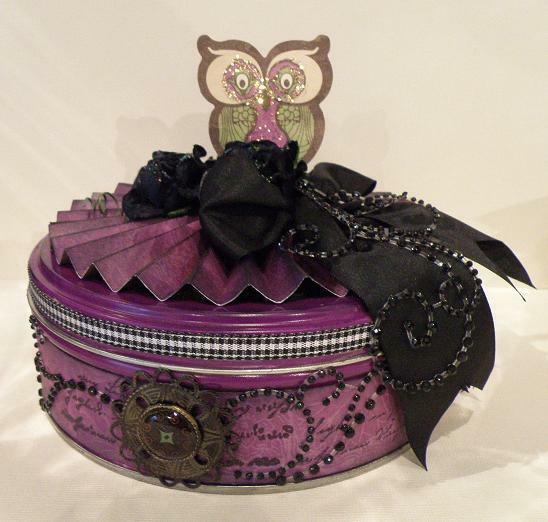 Love Scrapbooks, Etc magazine! Love to follow them and Bo Bunny for creative ideas and inspiration! Wow thought I already was a follower, but am now for sure. :) Love all the projects! That wreath is definitely a must try. Happy Halloween! I love your products and am now a follower. Congratulations on your 50,000 follower! WOW!!!! I was, I am and I will be a follower! I <3 bobunny! I love your products! I can't wait to use more in my projects. Already following! Love your products and the blogg! I'm now following your blog. You have some great projects! what a great wreath design! Love the Halloween Projects and I just subscribed to the blog. I'm now following your blog! :) Congratulations to Scrapbooks, Etc. on such a huge accomplishment! Also... 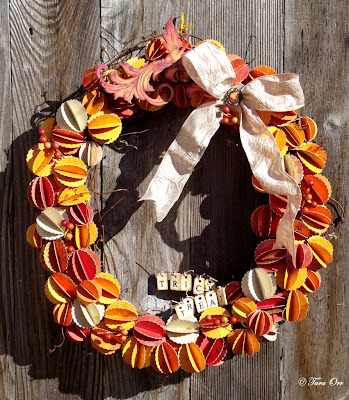 I LOVE that super cute pumpkin wreath. Thanks for the great ideas! already a happy follower. Love the projects today. happy halloween. I love your blog and have been following for awhile now. Of course I LOVE your products as well! Love those projects! I am a follower! Thanks so much! Great projects! AMAZING projects. Just love coming to the blog and getting ideas and tips for my crafting. Thanks for continuing the fun! How did I go so long without following your blog? Love all your stuff! I have become a follower! I love all the projects and products. I can't wait to look through previous posts and get ideas. looking forward to all the great ideas! Already a follower! Happy Halloween and thanks for the giveaway!! Bo Bunny and Scrapbooks Etc......my 2 all time favs!!!! Congrats to Scrapbooks, Etc.! Thanks for letting us followers share in the celoebration. I'm a follower, and I love your products, just picked up my first stamp set this weekend. Love the wreath, so beautiful. 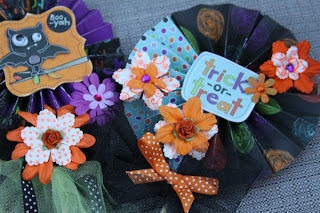 So love the trick or treat wreath, it is my favourite of todays creations even though they are all amazing! Just joined & it looks like an awesome sight! I love BoBunny you always have some of the prettiest papers. Beautiful projects, my favorite is Tara's wreath. I am already a follower. 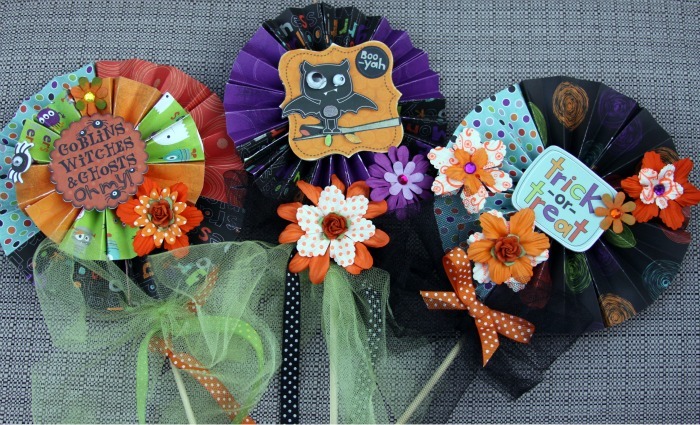 wonderful projects, love the lollipops, the tin, and the wreath. The tin is my favorite, love the colors and bling. thank you fo rsharing and a chance to win, Im already a follower. Been a follower for a long time! Love todays projects! Congrats to Scrapbooks ETC! I've been a Bo Bunny follower for a long time. I love Bo Bunny my favorite papers!! what adorable projects! i love that bo bunny is doing such interesting and creative lines...they definitely make me smile!! I love all the Halloween projects. Those lollipops are too cute and the candy tin is gorgeous. 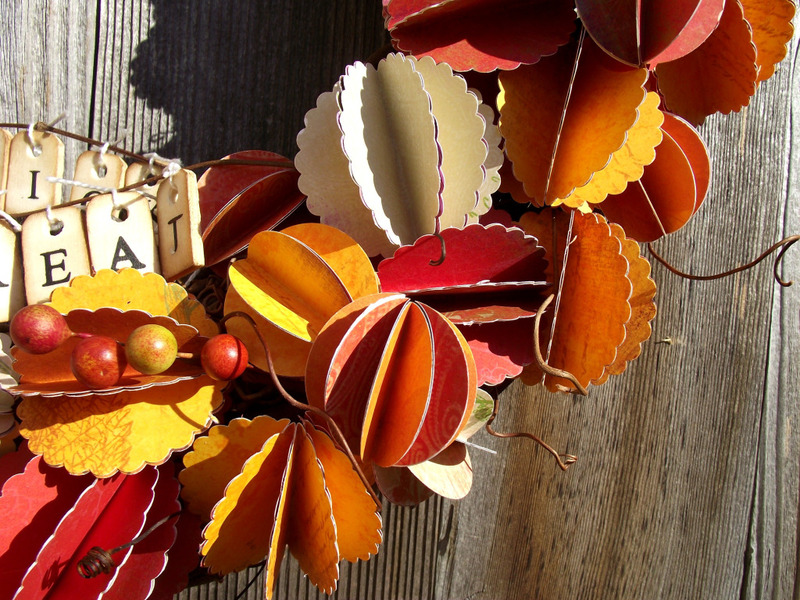 Tara's wreath is perfect for the fall season. I'm already a follower and BoBunny has become my #1 manufacturer. Thanks for the chance to win. I am a follower! Thanks for hosting a giveaway! I'm already a follower and all the projects were fabulous. Thanks for the chance to win. I have been a faithful follower and love your blog! Spooktacular collection thanks for The chance!!! I have been a follower since Shanna was a DT. Already a follower, thank you for this chance to win. I am a follower! Thanks for all the inspiration. I'm a long term follower here, as well as a long term subscriber to ScrapbooksEtc!!! A double winner! Great projects today! Yes, I, too, have been a follower of your blog. I love all the cool projects that you shared! I'm a new follower, love the projects! Bo Bunny is great - have been following for a while ! Fun projects! already a follower... and Congrats to Scrapbooks Etc. - I subscribe and follow them, too! Great projects--I like the wreath. I am a follower. I just became a follower! I don't know what took me so long! I am in love with your Snowfall line!! I am a follower! I check the blog everyday! Wonderful projects! I love the lolly pop covers--they are so adorable!! I am a follower!!!! Thanks for the chance to win!!! I've been a follower for a long time! Thanks for the chance. Just become a follower, great projects. i am already a bo bunny follower..and the halloween projects are great! I have been a follower for quite some time. I love getting the email updates each morning. What wonderful projects - my fave is the tin. Wow, that wreath took a lot of work!! But it looks like it was worth it! Thanks for the chance to win!! Congrats to Scrapbooks Etc.! I am already a faithful follower!! Wow! Such lovely projects! I am already a follower. Thank you so much for the chance to win! Happy belated Halloween from a sugar-high follower. Beautiful projects, I really like the candy tin. I'm already a follower, and love your blog very much! I am now a follower of Scrapbook Etc.! I'm a new follower! I'm still trying to figure out how I wasn't a follower long before! Haha!! Great projects! Everyone did a fantastic job! I'm already a follower! Love the projects and your papers are beautiful!